The IPTPA rating program helps players learn the skills of pickleball. This is an important component of our Player Development program. We encourage everyone to to go through the educational rating experience. Our first rating sessions of the season are on Monday, October 22. Our local Certified Rating Specialist (CRS) Sean Rickard will be here to administer the ratings. We must have four (4) people going for the same rating in each session. You can be tested for 2.5, 3.0, 3.5 or 4.0. A description of the skill assessment for each skill level can be found on the IPTPA website. If you are a club member and this is your first time being rated, cost is $15 for a 3-year No additional fees. Sign up here. If you have questions, contact Jean Bustard at jeanb@dcmesa.com. 3.0 Drill Clinic - Tuesday Oct. 16, 3-4:15 pm. 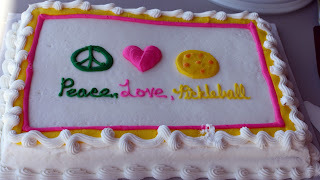 Come & have some fun & improve your pickleball skills. Sign up here. If the drills are full, sign up on the Wait List. If there are enough people, a second session will be scheduled. 3.5 Drill Clinic- October 18, 3-4:30. Click here to sign up. This is an opportunity for you to play with other beginners while experienced players watch and give pointers. You must sign up to attend. Sign up here. 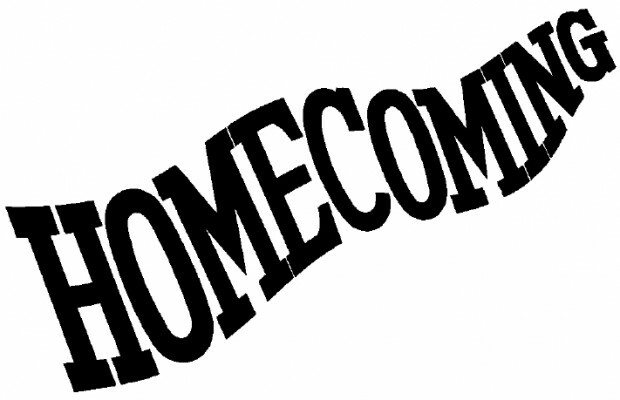 Because of the Homecoming Social on the morning of Oct. 17, there will be no regular Round Robin or Club Open Play. You must sign-up to attend the social. At present, all slots are taken, but check back before Tuesday evening. Someone may cancel, making slot(s) available. Click here to see if there are any slots available. If the Club Open Play courts aren’t all being used and if other courts are full, then Quail Creek residents and guests may use the open Club Open Play courts. 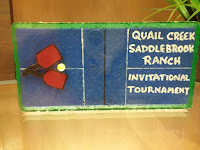 If additional QCPC members arrive at the Open Play courts and are waiting to play, then the Quail Creek residents and guests using the formerly vacant court(s) should release the court for use in Open Play as soon as possible. Volunteers are needed to organize the December Social. This will celebrate our pickleball courts 5th birthday. Normally this social would be on Dec. 19, but because that is close to Christmas, the organizers could pick an earlier date. Contact Susie Eckhardt to volunteer, susan.eckhardt@yahoo.com, 253-686-7541. 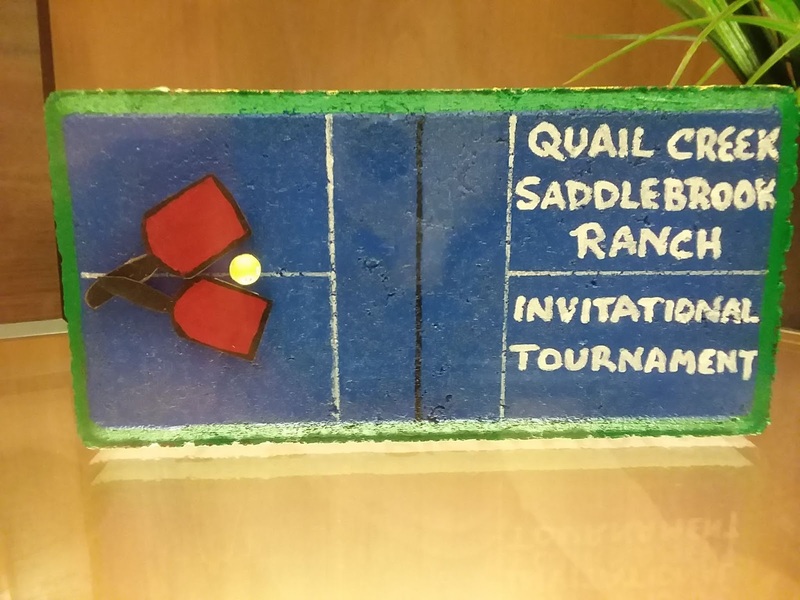 The Saddlebrooke Ranch.Quail Creek Invitational will take place on Thursday October 25th. Women's Doubles will start at 9 am, with Men's Doubles beginning at 10 am. Mixed Doubles will begin at 1pm. We will be using the Fuse ball (yellow balls on the courts now) for all brackets. All games will be the first to 15 (not win by 2) in a round robin format. All games will only be played against the other community. If there are only 1 or 2 teams in your bracket, you will play 2 games to 15. The Community that wins the most games will win the Invitational. Points will be used to break the tie. • Check in 2 people to help at 8 -9am 9-10am and noon to 1pm.